Steps from the Pacific Ocean and only a 10-minute walk from the city center, phase I sits directly on the sand with 2 and 3-bedroom condos. Pending a re-release in 2008, Bahia Encantada phase II will be located directly behind phase I and offer 1 and 2-bedroom condo layouts. 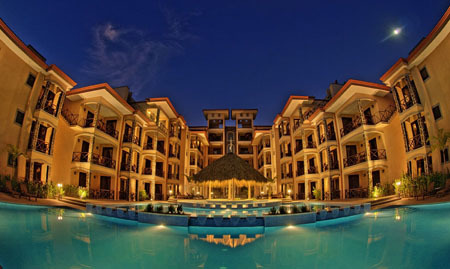 Resort-style living includes staffed security, housekeeping and onsite management. Bahia Encantada phase I was completed in November 2007 and all units are ready to rent. Pre-construction sales for Bahia Encantada phase II will be released in 2008. Please contact us for ownership opportunities.